Women Helping Women WINN! 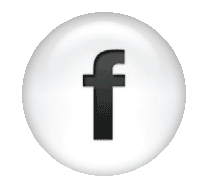 was founded in March of 2011. Our founder, Becky Branton-Griemann was a member of a networking organization which consisted of mostly men. After a year of attending, too many weekly meetings, and what she felt was too high priced of an organization, she thought what if I can come up with something more affordable, something that would fit around a busy woman’s schedule, and specifically for women? 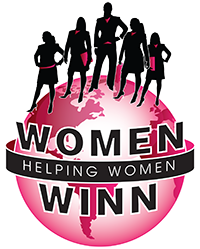 Women Helping Women WINN is now a networking organization that meets on a monthly basis across the nation. 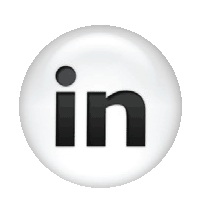 Our focus is on building professional business women’s networking portfolios, passing referrals, and educating business women on how to exceed in their industry. But it doesn't end there. We provide fresh safe starts for women & children affected by domestic violence by contributions & partnerships along with our door prize raffles/silent auction items we have at our events. Networking is not just about attending a meeting once a month. We highly encourage our members to meet with each other outside of the meeting, get to know each other and the products and services each business has to offer. This way you are building a relationship with the person and not just trying to “sell” something. No one wants to be “sold to”. We all want to have that relationship with not only the person we do business with, but also our business partners. By meeting outside the work environment, you create a camaraderie with that business person and now when she/he hears someone in his/her circle of influence ask about kitchen appliances, or a new car, she/he knows who to refer them to. Let’s face it, women love to give opinions, and we also have that nurturing instinct. This is where we get to put both of those to use and build up someone else. In hopes that they will return the favor. “What goes around comes around”. Click here to meet The WINN Executive Team! Domestic Violence is near and dear to Becky’s heart. Can you believe it affects one out of every four women you meet? Women in Domestic Violent situations hide it very well. They are looking for approval, not only within themselves, but also their spouse. Becky experienced this first hand, and can tell you many friends that she had lost, and the disapproval of her family because some had driven her to the emergency room. She wanted to “cover it up” and paint the picture of a happy marriage and wanted her family and friends to accept him, so therefore over time, just stopped going to the emergency room or telling anyone that it was happening. Eventually, as most domestic cases do, it escalated into child abuse. That is when she had enough and got the help she needed. This is why it is so important that we educate people on domestic violence and that it will only escalate. The problem doesn't solve itself, and people need to stay safe. Why Women Helping Women WINN? What Becky Branton-Griemann loves about Women Helping Women WINN is that we can help everyone succeed in their industry. They just have to want it first, be determined to get it and let no excuses stand in their way. If you are a woman business owner/partner we would love to have you join us! For more information on Women Helping Women WINN please contact Becky Branton-Griemann at 608.429.4120 or email info@whww.org.